Custom officials or member at our infamous post office went shopping again!!! The coin was won on Ebay a couple of weeks ago and realised a hefty sum on auction. Package received but no coin - Very sad state of affairs. Word of warning to all - DO NOT USE REGISTERED MAIL without a declared value or description. I have now paid my school fees!!!!!!!!!!!!!!!!!!!!!! Just a question-was the coin supplied by reputable seller with good history.Hardly seems the type of coin targeted by post office or customs officials as they may not have the knowledge to appreciate the value of the coin as you say no value was declared? Why do I smell a dead rat? And not necessarily coming from the PO. 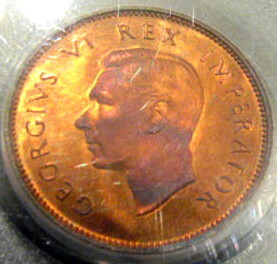 The guy also sold a 1926 1/2 Penny graded MS63BN which realised a priced of just over $2100.00 as well as a 1933 Penny MS63BN which realised a price of $2300.00. I looked through his feedback and, although I might have missed it, didn't see any "low-grade" SA coins. This I find suspect, as most dealers - and this person is definitely a dealer - have heaps of those to move. I also find it suspect that he would post coins worth several thousand US$ through the Cypriot PO, instead of a reputable international courier with ample insurance. How do post office employees know when a coin comes through the door? Are coins packaged differently to other items are they marked "coins" is it because of the insurance stickers (or whatever they write on the parcel) or is it just a random thing? Wayne if the coin was coming from overseas there would be documents etc saying what it was so they would then know. Seriously, even though a "serial number" has been given, what is to prevent the thief from cracking open the slab and having the coin (re)graded by another company? Shouldn't you guys start marking all graded coins, similar to what they do with diamonds? NGC (and possibly PCGS) image all coins currently graded and make the image available with the look-up of the certification number. So there is no need to mark the coin itself. I knew the coin was the same one for three reasons. First, finding an MS or high grade AU of this issue is VERY difficult, regardless of date. Second, the chances of the same coin (even in different grades) showing up twice in successive auctions of the same seller I would rate as nil. But third and most importantly, I was able to confirm that it was in FACT the same coin because there were five unique marks on the obverse in both images. In theory, the same analysis I performed should be possible with any other coin, except maybe ultra high grade "conditional" rarities which are not even available for most Union coins anyway. So someone along the chain of command must know something about coins to want to steal them. customs documents have values on them so, they would automatically know the value. so it's possible that the coin was stolen at Customs then? Main Post Office Sorting Depots (like Cape Mail) have a customs department in them. 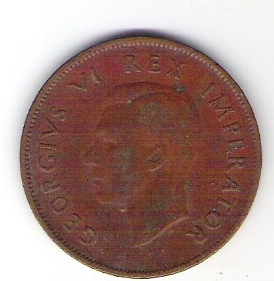 So if I understand correctly, this coin - since it has now been flagged as stolen - can never be regraded, because the grading companies will recognise it? I do not know the answer to your question. Presumably, if there is a list of such coins that have been stolen and PCGS or NGC or NGC are aware of it, they would not do so. 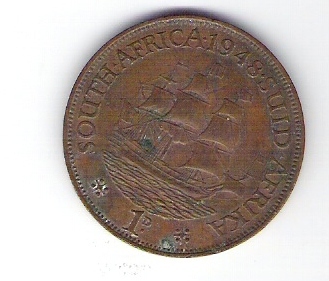 But I doubt that they have any economical way of tracking this for a coin such as a 1943 SA 1D. 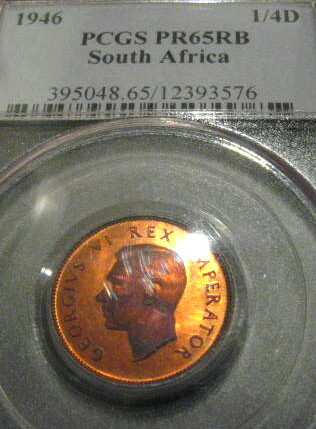 It might be a conditional rarity that some SA buyers are very interested in but its not a high profile coin at all and certainly not in the United States. If someone did crack it out and sent it back a second time, I personally do not expect that NGC or PCGS would be actively checking to determine if it was a stolen coin. Maybe they are but I doubt it. My post was in response to the one which asked why coins are not "marked". All I am saying is that the photographs make such marking unnecessary. The photogrpahs make the unique identifcation of many or even most coins possible. 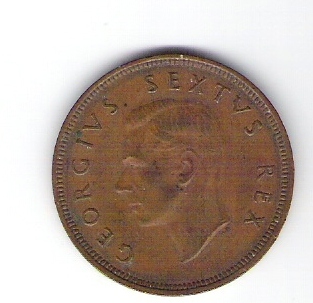 My sympathies, I was the underbidder on your 1943 MS66BN Penny and the price fetched was what I expect for a unique finest known coin even if some of the market may not think so. When they realise how rare some union coins are, it will be too late. I did win at the same auction another 4 graded PCGS coins for my collection and they all arrived by registered post last Friday 21/01/2011 sent from a P.O.Box address in Limassol Cyprus without a customs declaration to show what was inside. The only hassle I found and that may reflect on the inexperience of the seller was that every coin slab was stuck to the inside if a pizza carboard box packaging to prevent moving. That glue remained on the slabs and I tried hot water but didnt work - caused a small expansion crack on the inside of three PCGS slabs (not through and through fortunately). Methylated spirits did the trick but NEVER use acetone , it damages the the perspex of the capsule. These were very nice coins when one sees the overall poor quality on the ebay market. Its a shame to not receive such a gem. Perhaps you should file a dispute with Paypal to at least get your money back. If the seller did pretend to send the coin, we can all as collectors watch the net for a relisting months or a year down the line and catch him out. I caught a seller out from Beaverton Oregon USA, when he sent me a bogus tracking number on a PCGS Pf65 1946 1/4d I originally won in March 2008 that he then relisted 10 months later on a 3 day buy now (with an ? intentional grade number mistake of 66) on ebay - I was watching and reported him to the internet fraud section of the FBI - got my unique coin two weeks later- you may forgive the seller when you see its eye appeal - stunning indeed !! Dont give up !!! Lets all watch out for this coin, I dont believe the postal /customs theft story. Of late we have had a very very reliable postal & customs service they may be slow at times (and keen to charge VAT). 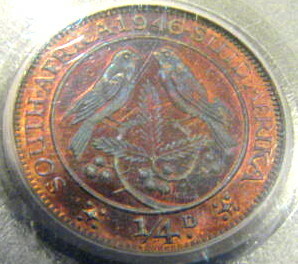 The 1943 1D is NOT a rare coin at all though I consider it somewhat scarcer than a few other dates such as the 1940-1942 and 1948. The fact that this particular specimen is an MS-66 does not change that. I explained my reasoning in response to your question on the toning and color of copper and bronze coinage. Conversely, the 1926 1/2D which sold at the same time for about double as an MS-63 is VASTLY scarcer and I at least which much rather have bought that coin for those prices. Aside from this factor, I will repeat the same thing I said before which is something you alluded to yourself on this topic here. Those who buy "conditional" rarities on the assumption that either few to no additional specimens are available to be added to the census in the same or higher grade, many or most of them are likely to be disappointed though I cannot say how many additonal are available for a particular date/denomination combination or what their future prices will be. Paying a MODEST premium for a "conditional" rarity is one thing but a disproportional or exhorbitant one is another entirely. While the premium on this particular coin was much less than on many others, I'm not convinced its particularly low given the scarcity of the 1943 1D. 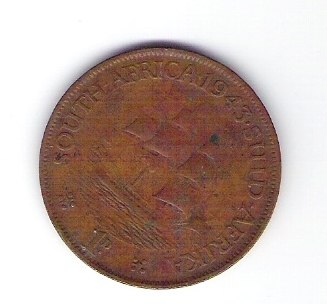 It is more reasonable than many other KGV or ZAR where a low grade MS sells for 10 times or even more than an AU-55 or AU-58 when the coin is not much IF ANY better. I myself have been selling my better graded coins particularly for this reason and already for many of them, it was agood thing that I did because the census has increased a lot proportionately for many KGVI dates last year. I would rather buy slightly lower graded coins for much less and spend the difference on coins that are ACTUALLY scarce for my collection, including KGV AU-55 or better for the 2/ and 2/6 (excluding dates such as the 1932). Making comments such as these on this forum is very irresponsible and uncalled for and unfair towards a reputable International Seller. You have caused a great deal of harm to this person by your postings and I would suggest that you think before posting especially on issues you have no idea on or without any factual information. Here are the facts: This seller is a collector and not a dealer. He is an officer in the Cypriot Army and also a senior member of the Cypriot Numismatic Society. Opportunistic theft is rampant in all courier companies the world over and the Post Office's of any Country. I was the winning bidder on the two other coins which sold for US$ 4550.00 and happy to report that they arrived very safe and now taken up in my collection. I also have a 1948 penny. You are welcome to PM me. All coins are worth something and every coin deserves to be in a collection. Regrettably the two specimens you've showed here would be regarded as filler or entry level coins and both shows corroded surfaces. A few rand perhaps on a good day. Sorry!